Last night saw us conclude our nationwide tour of the Small Business Specialist Community groups with a mighty five mile trek across to Trafford Park and the location of this month’s SBSC North West meeting. The group is an independent forum for Microsoft Small Business Specialists to meet one another and share best practice, with an hour or so reserved for selected vendors to pitch their wares. We were kindly invited back for a third time where we spoke about life after SBS and the role MDaemon can play for those small businesses for whom Office365 or Exchange aren’t a good fit. A big thanks to host Robert Gibbons from Think4 IT who ensured we were met by a packed room, plenty of enthusiasm and some great questions. 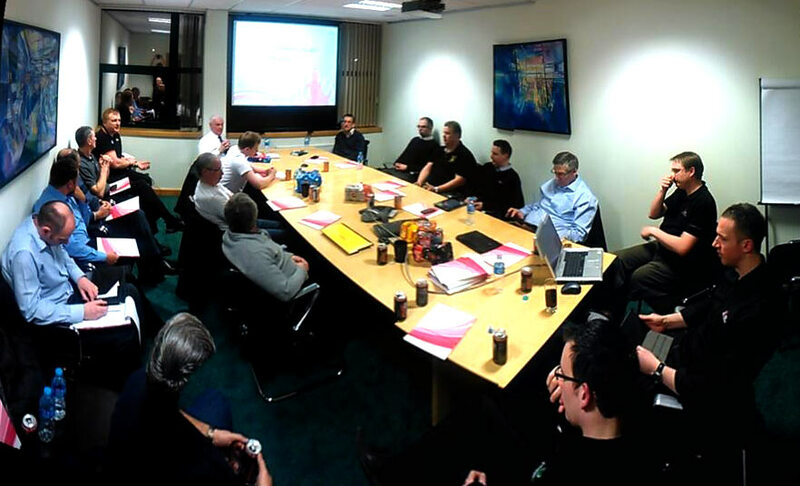 Also of course a big thanks to all of the attendees who gave up their valuable time to come along and contribute. Great work James and Team Zen! Keep up the good work!